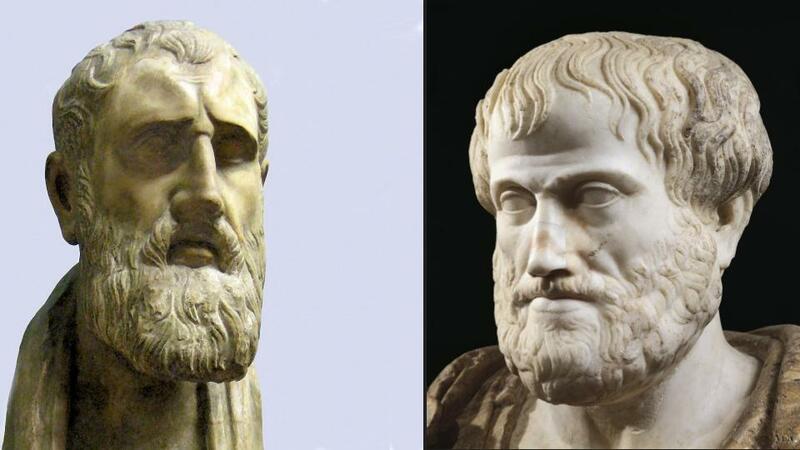 Classics professor Edith Hall has recently published a fascinating article in Aeon entitled “Why read Aristotle today?,” on the reasons we should adopt Aristotle as a guide to a happy life. In the article, it transpires that she really doesn’t like Stoicism, so that prompted some reflection on my part on both Aristotelianism and Stoicism. I have adopted Stoicism as a personal philosophy of life because it spoke to me from the moment I heard of a strange thing called “Stoic Week.” It has been only four years, really, and my life has changed, mostly for the better (and the non-mostly part isn’t Stoicism’s fault anyway!). Several things attracted me to the philosophy, and the more I study it, the more my initial hunch is confirmed. Three in particular: the idea of “living according to nature,” the practice of the four virtues, and the dichotomy of control. I have come to think of these elements respectively as the fundamental axiom of Stoicism, its moral compass, and its key to serenity. The fundamental axiom: to live according to nature means to take seriously human nature, specifically the fact that we thrive only in the context of a society and that we are capable of reason. Three things follow: we are all members of the same human cosmopolis; consequently, we should try to practice oikeiosis, the “appropriation” of other people’s concerns as if they were our own; and, therefore, a good human life consists in applying one’s reason to improve society. These three points are the basis of the Stoic notion of cosmopolitanism. The moral compass: the practice of the four cardinal virtues (which turn out to be among a small subset of virtues recognized cross-culturally) of practical wisdom, courage, justice, and temperance. This practice is an incredibly effective way to orient yourself in life, to prioritize what is important, and to navigate even complex situations in the most ethical way. Any time you have to make a decision, just ask yourself: is this good or evil (practical wisdom)? Am I being as courageous as the occasion requires? Am I acting justly with respect to others? Am I doing this in the right measure? You’d be surprised how easy it is to figure out what the right thing to do is, with this compass in hand (whether we actually do it or not, of course, depends on the progress we have made). So, while my personal choice is Stoicism, I fully believe that there are many paths to wisdom and a life worth living, and that each of us has to choose (or build) the path that resonates with us, given not just the specific content of the philosophy, but also our personal character and culture of provenance. I guess since Stoicism, surprisingly, is the successful kid in the room at the moment, one has to take it down a notch or two before advancing one’s own preferred philosophy. Carnegie may have been inspired by Marcus Aurelius, but Stoicism is not a form of self-help. It is an all-encompassing philosophy of life, which is made very clear by “self-styled” (why the rhetorical dig?) Stoic organizations throughout the world. Ancient Stoicism was anything but pessimistic and grim. The Stoics believed that the Logos, the principle of rationality, permeated the universe, and they conceived of it as god. Accordingly, we are literally bits and pieces of the divine, hardly a grim picture of ourselves. While most (but not all) modern Stoics have abandoned pantheism, we still think that life is an amazing thing, very worth living to its fullest, no matter what one’s special circumstances might be. Stoicism did not denounce pleasure, it simply advised moderation. Seneca writes about the need to dance and drink wine, even to intoxication, from time to time (On Tranquillity of Mind, XVII). Stoicism most certainly does not predicate the suppression of emotions, as discussed in detail, for instance, in Margaret Graver’s book. The Stoics thought of their approach as a philosophy of love, and cultivated joy (Seneca, Letters XXIII.3) and other positive emotions, while staying away from the unhealthy ones like anger, hatred, and fear. Stoics were not resigned to accept misfortune, as is very clearly demonstrated by several of their role models, like Cato the Younger, and by their fierce fight against the tyranny of three emperors. They did, however, accept misfortune with equanimity, because what is the point of complaining about the inevitable? The Stoics very much advised us to get involved in the “fine-grained business of everyday problem-solving.” That was the whole point of Epictetus’ role ethics. I’m sure Hall will disagree with my response, just as I (or others who are better qualified) can martial a number of objections to her view of Aristotle. But that is not the point. Let a thousand philosophies bloom instead. Aristotle’s your guy? Excellent! Do you prefer Epicurus? Go for it! Epictetus really does it for you (as he does for me)? Wonderful! Or perhaps Buddha, Confucius, Lao-Tze, Jesus, and so forth. Just go for it and try to live a meaningful and ethical life. Mind you, not all philosophies or ideologies will do. There is no such thing as a good fascist or a eudaimonic Nazi (or Stalinist, or Maoist), and some religions are cultish and rather dangerous (e.g., Scientology). I am not arguing that there are no substantive differences among the many possible legitimate alternatives. This is one reason I tend to be somewhat skeptical of “eclectic” approaches that mix and match from different traditions. But hey, if that’s your cup of tea, by all means, drink it! Virtue ethics, the broad family to most Greco-Roman philosophies belong, has the potential to really change both individuals and, in bottom-up fashion, society. For the better. If more people took seriously the idea that a good life (eudaimonia) requires an ethical approach, and that such a life is possible for anyone willing to work on their character and attitudes, reflecting — at least from time to time — on why we do what we do, this would be a far better place than we have managed to make it so far. And it really wouldn’t matter if you got there by way of Aristotle or Marcus Aurelius. This entry was posted in Critics of Stoicism on June 11, 2018 by Massimo. I tend to agree with E.O. about emotions: the Stoics sought to avoid the unhealthy ones, but they recognized, for instance, that even grief — for a time, and in a measured way — is human and necessary. Also, I understand Victoria’s point about the sayings of Confucius. Likewise, reciting the Pledge of Allegiance in grade school doesn’t seem to guarantee good U.S. citizenship. But with virtue ethics, we’re talking about not just knowing the virtues but making a concerted effort to apply them to everyday life, in fact, to each moment of everyday life. So I guess that means it depends on agency. You might not be able to teach people to be wise. But it’s still possible to learn! PS. Best thanks to Massimo for hosting this excellent debate! Thoughts) happened around the same time as Socrates’ life, also around the time of the Buddha. I used to think of Confucius whenever the name Aristotle came up. In fact, the thought of Aristotle wearing the ancient Chinese clothing came to my mind one day and it was hilarious.😑 is there a mix dressing comic competition on ancient philosophers? For a long time I wondered if the Eastern and Western philosophies were similar 2.5k years ago? And I wondered why these great thinkers showed up independently around the same time? Was it that when human cognitive ability developed to a certain level and it gave birth to philosophy? Massimo I’m sure you’ve got PhD students looking into these questions, if they haven’t been answered already, right? By the way, my apologies if it seems I’m only commenting on a small part of Western and Chinese philosophies, as if the philosophical world is only made up of 2 groups. Well, it is not. I simply don’t know enough about anything else 😂. I welcome anyone who’d have the time to lecture me on philosophies from India, Africa and other parts of the world! He has series on Islamic and Indian philosophy, and he just started two more, on Byzantine and Africana philosophy, respectively! Thank you!!! Just what I’ve been looking for! that said, there is quite a bit of skepticism in historical academic circles about the idea of an axial age, partly because it’s a pretty long span of time (things didn’t happen in sync), and partly because there doesn’t seem to be a single (or a small number of) common causal factor(s).